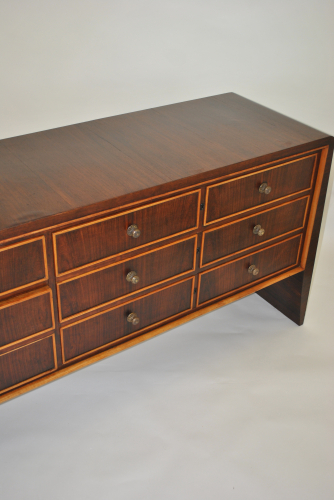 Rosewood with maple highlights around the drawers. Restored and in very good condition. The chest of drawers measures 166 cm at its widest and 158 cm at the top.